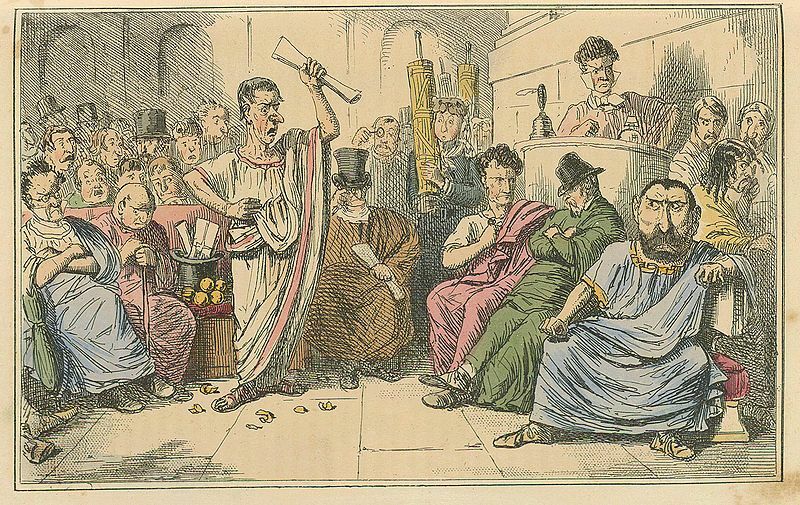 “Cicero denouncing Cataline,” The Comic History of Rome by Gilbert Abbott A Beckett, 1850s. What’s this? A creative piece, you say? You’re spot on. This is a dialogue between Cicero and my supervisor at uni, Assoc. Prof. Parshia Lee-Stecum. I originally wrote it for Orpheus, the publication of MUCLASS (Melbourne University Classics and Archaeology Students Society). I was a little worried that my supervisor might not like it… Cicero does get a bit bitey with his replies! But thankfully it gave Parshia a chuckle and he said it was a good satire. In the end, I’m satisfied with the result. As a senator of MUCLASS, I’m very proud of our first publication. The rest of Orpheus is full of amazing entries, including ancient recipes, Latin poetry, historical fiction, brilliant essays and much more. Do go and check it out on our new blog at muclass.wordpress.com – if you like anything classical or archaeological, I am sure you will enjoy it. PARSHIA: Oh, please come in, Marcus. PARSHIA: Marcus? (glances at paper) Sorry, you’re Marcus Tullius Cicero, right? CICERO: Well of course. I’m just astonished that anyone could be so barbaric as to call an unfamiliar by his praenomen. 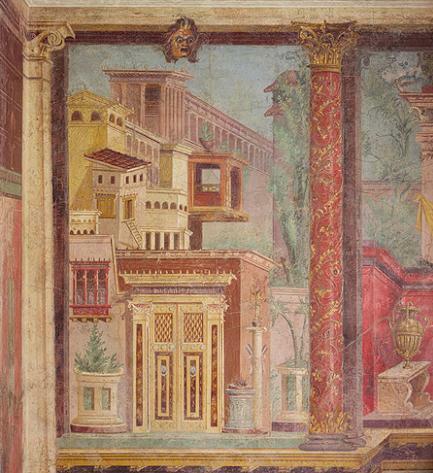 Posted in Uncategorized and tagged academic publishing, Cicero, Classics, research, Rome. Bookmark the permalink. Posted in Art and Artefacts, Weird and Wonderful and tagged art, cubism, fresco, horizon, linear, painting, perspective, pompeii, Renaissance, Rome. Bookmark the permalink.